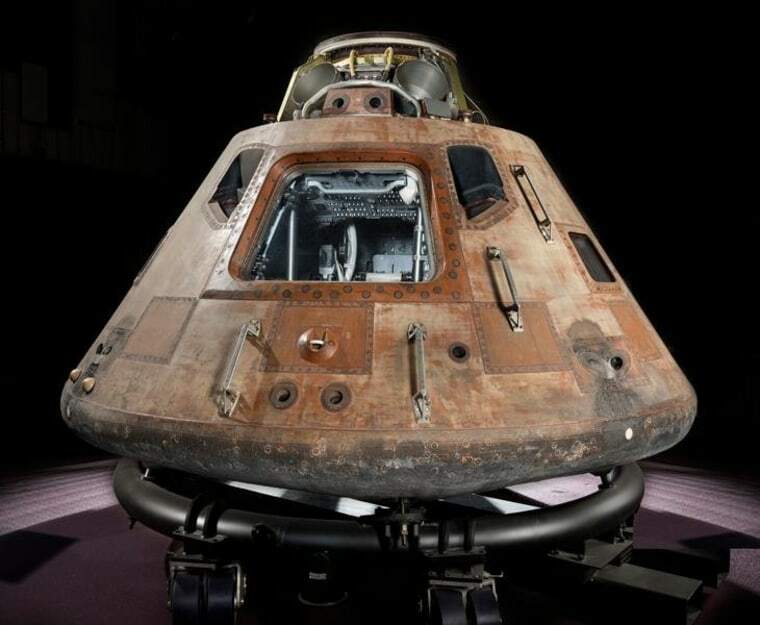 Nearly 50 years after NASA's first moon landing, the Apollo 11 command module is set to tour the U.S. Here's a look back at the mission. Charred and battered from the forces of atmospheric reentry, the Apollo 11 command module Columbia has been at the National Air and Space Museum in Washington, D.C. since the museum's 1976 opening. 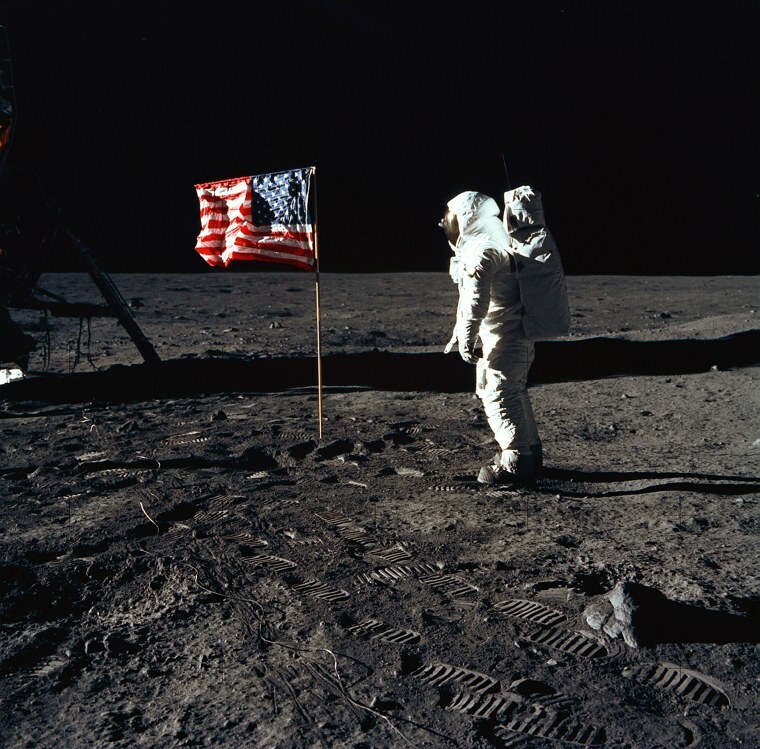 For the next two years, Columbia will travel 8,000 miles and visit four museums, arriving at the last in time to mark the 50th anniversary of the first lunar landing in 2019. 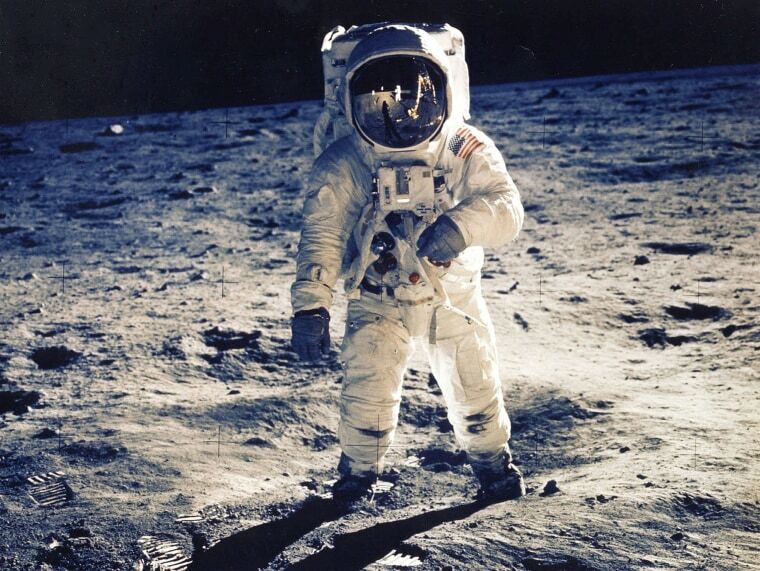 Astronaut Edwin "Buzz" Aldrin became the second man to walk on the lunar surface after he and fellow Apollo 11 astronaut Neil Armstrong successfully landed the lunar module on July 20, 1969. 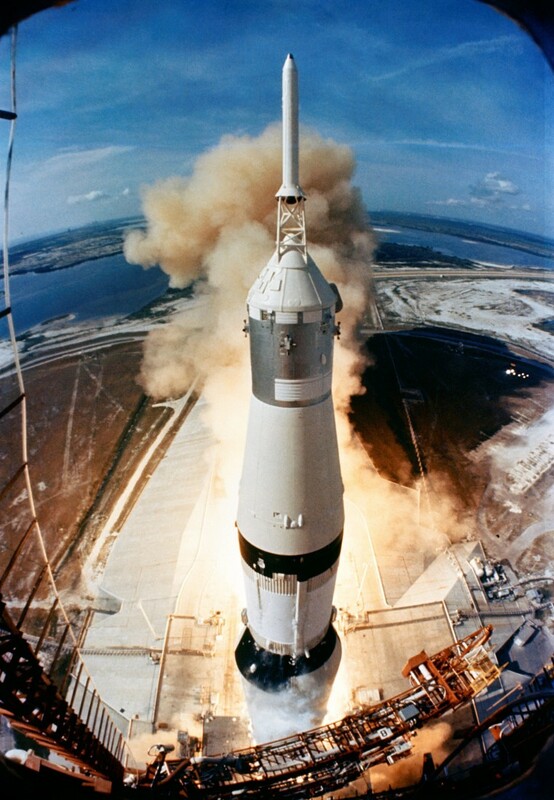 The huge, 363-feet tall Saturn V rocket launches the Apollo 11 mission from Launch Complex 39A at Florida's Kennedy Space Center on July 16, 1969. President Richard Nixon welcomes the Apollo 11 astronauts back to Earth aboard the USS Hornet, prime recovery ship for the historic Apollo 11 lunar landing mission. 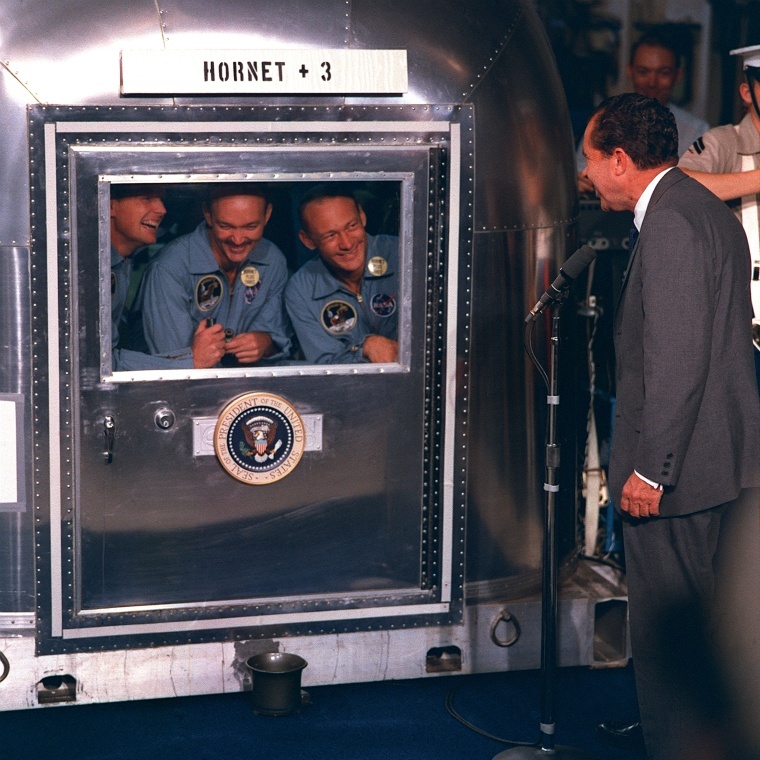 Already confined to the Mobile Quarantine Facility are, left to right: Neil Armstrong, Michael Collins, and Buzz Aldrin. The Apollo 11 lunar module ascent stage, with Armstrong and Aldrin aboard, is photographed from the Command and Service Module during rendezvous in lunar orbit on July 21, 1969. The lunar module was making its docking approach to the CSM. 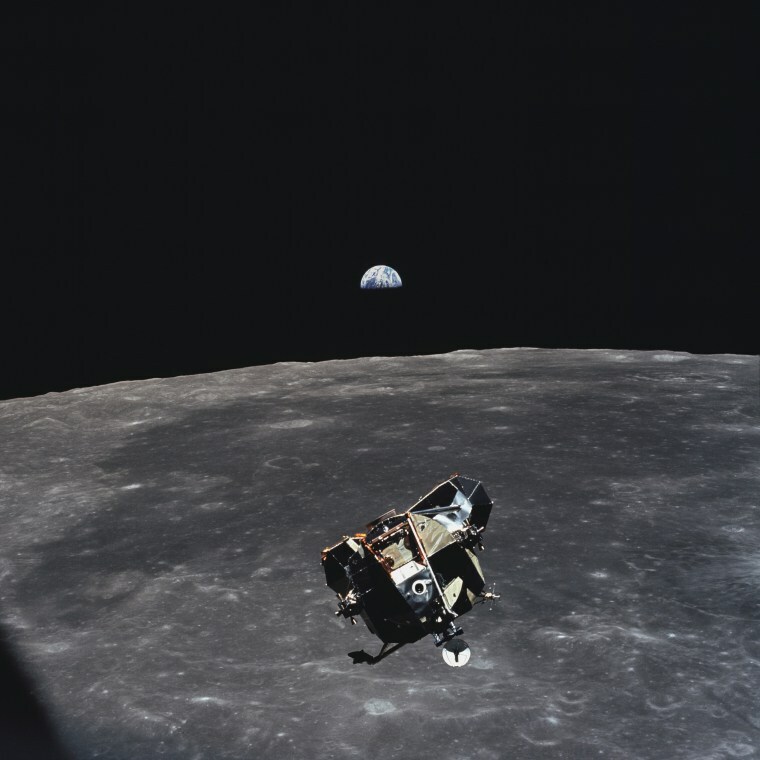 Collins remained with the CSM in lunar orbit while the other two crewmen explored the moon's surface. 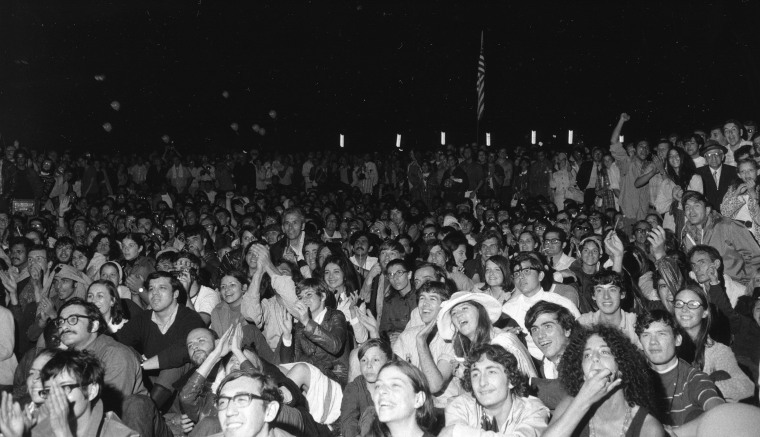 An estimated 10,000 people gathered to watch giant screens in New York's Central Park and cheer as Neil Armstrong took man's first step on the moon on July 20, 1969. 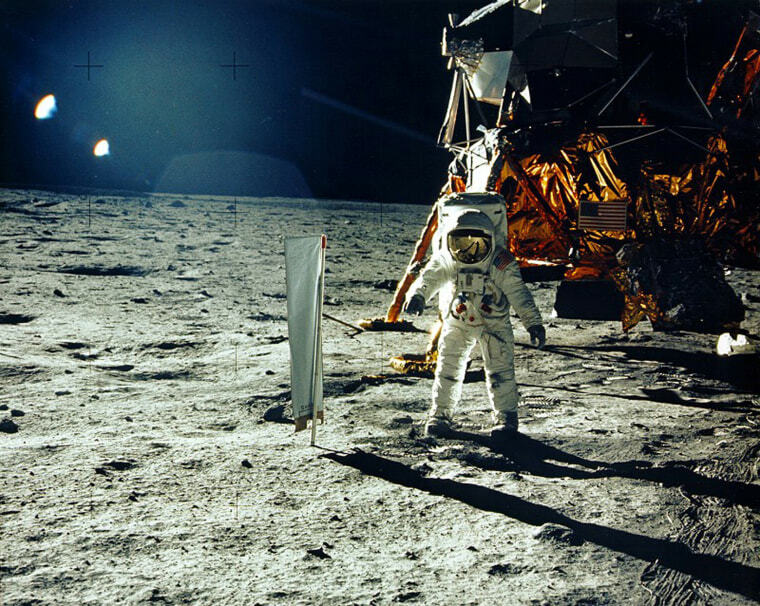 Aldrin stands beside a solar wind experiment next to the lunar module after he and Armstrong became the first men to land on the moon's surface. 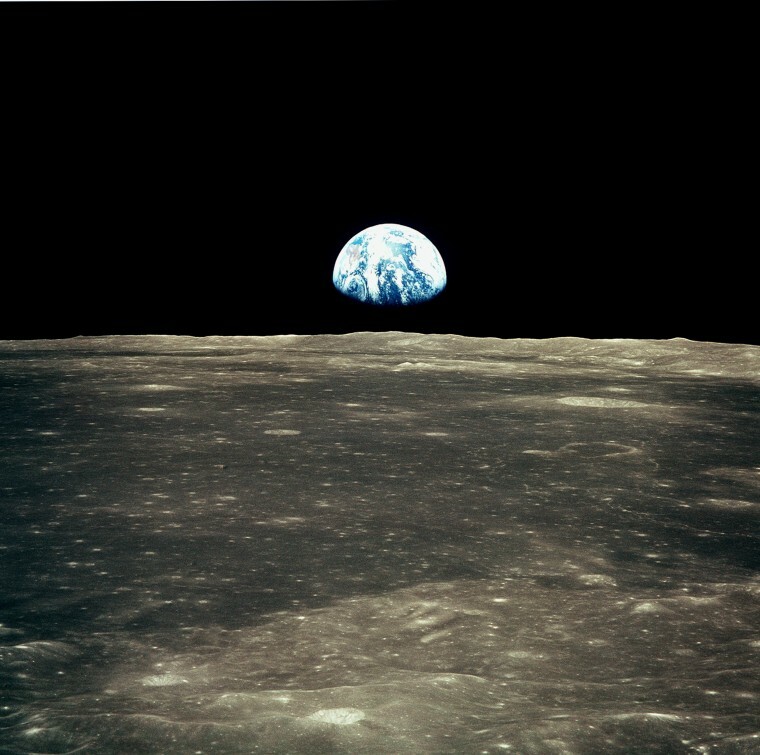 This view from the Apollo 11 spacecraft shows Earth rising above the moon's horizon. 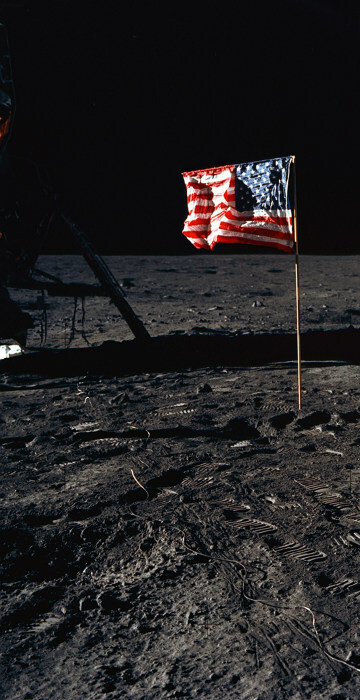 Aldrin poses for a photograph beside the United States flag after the historic landing on July 20, 1969.